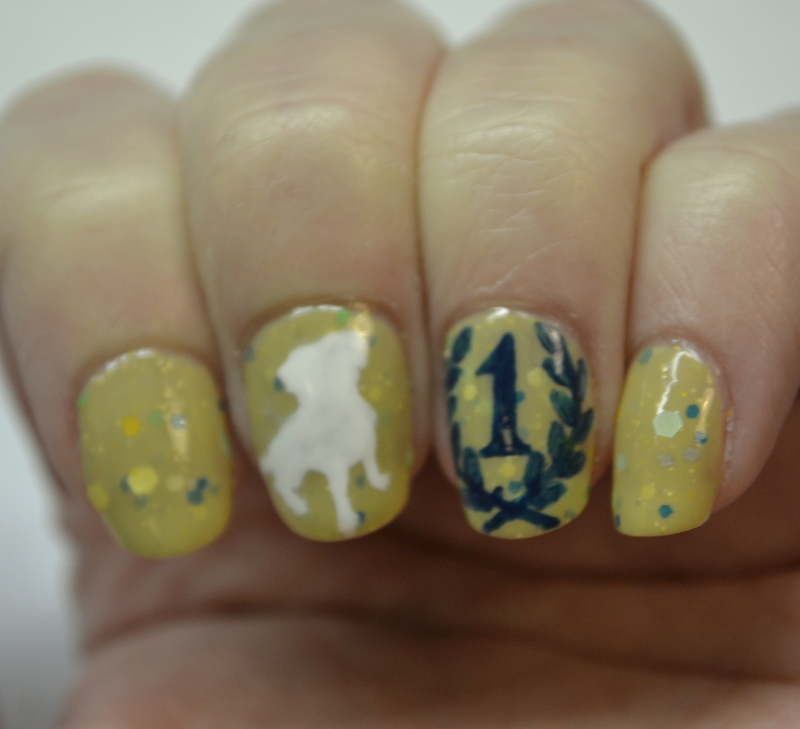 ALIQUID Lacquer Fantastiversary Nail Art Contest! 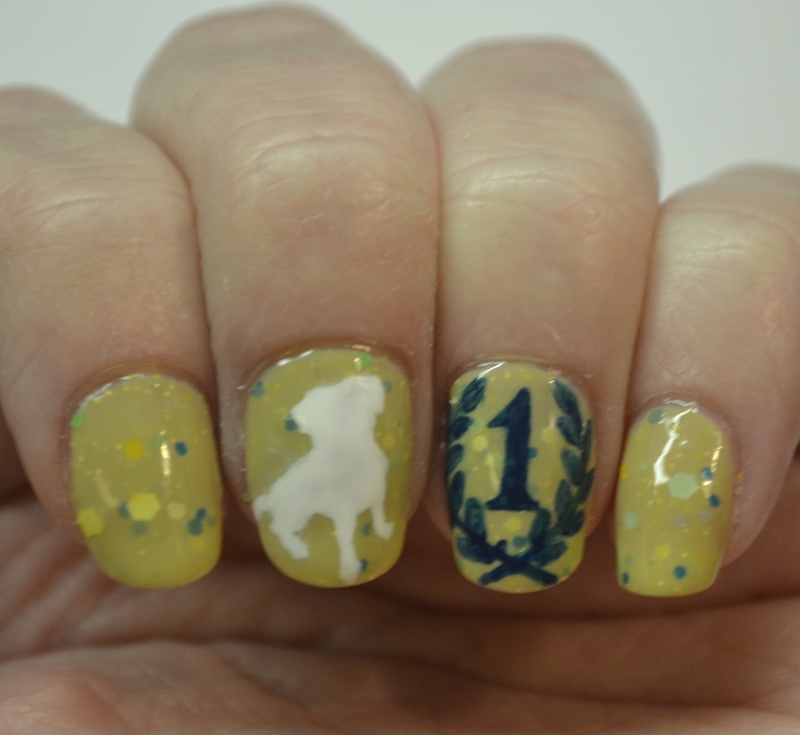 December 2, 2014 / Rachel C.
I made a last minute decision to make some nail art for the contest Alison is running for ALIQUID Lacquer’s first anniversary and thought I could post it here too. I thought about adding some party horns on the other two nails, but didn’t want to cover up too much of the background. That polish just so happens to be ALIQUID Lacquer Semper Aliquid Novi, the polish that was made for the one year anniversary of the ALIQUID blog. 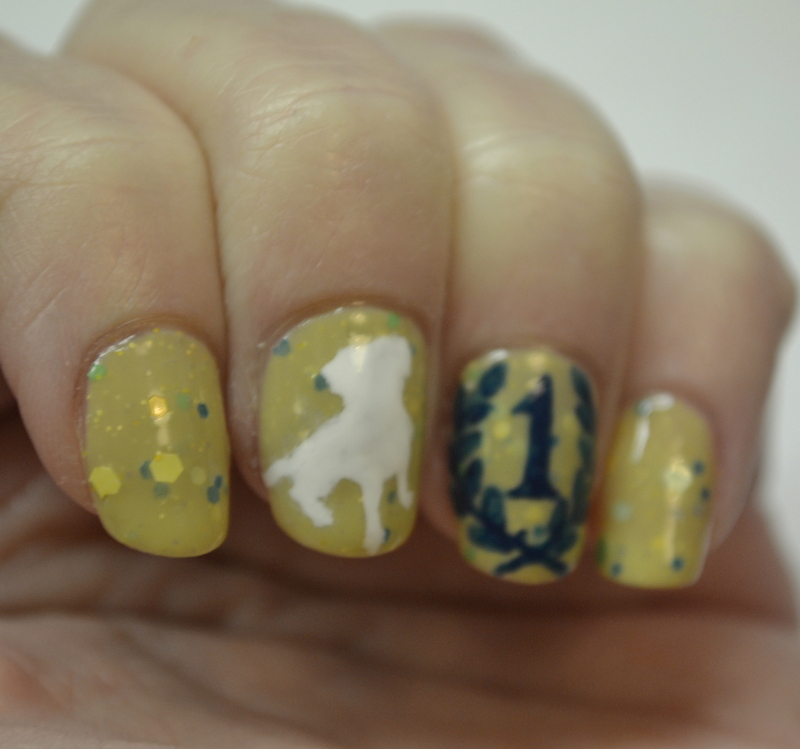 I thought it was appropriately festive, since I don’t have any of the new polishes made for the fantastiversary. 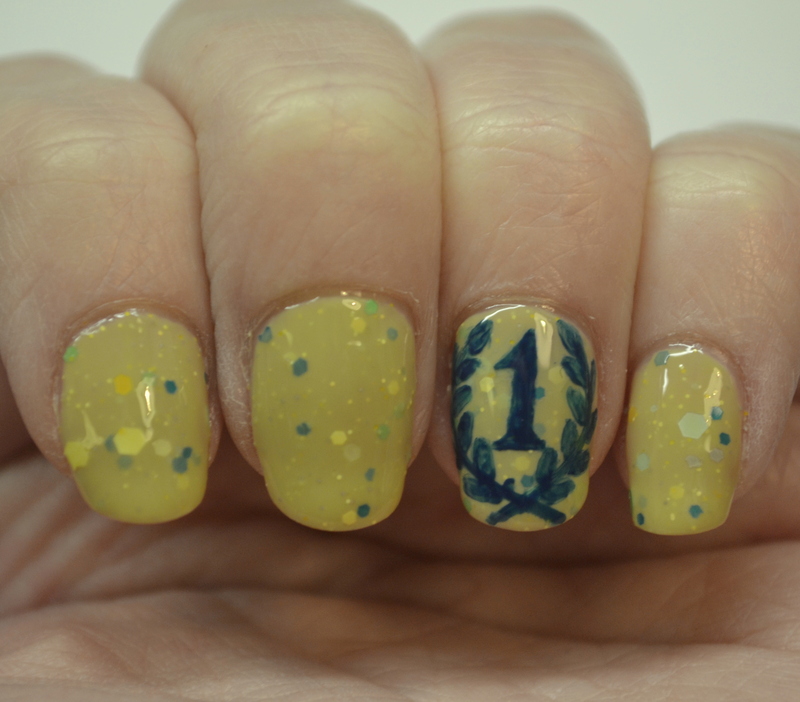 Trudy and the ‘1’ nail were freehanded with FingerPaints Paper Mache and OPI I Saw…U Saw…We Saw…Warsaw, respectively. I’m kind of proud of how well Trudy turned out. 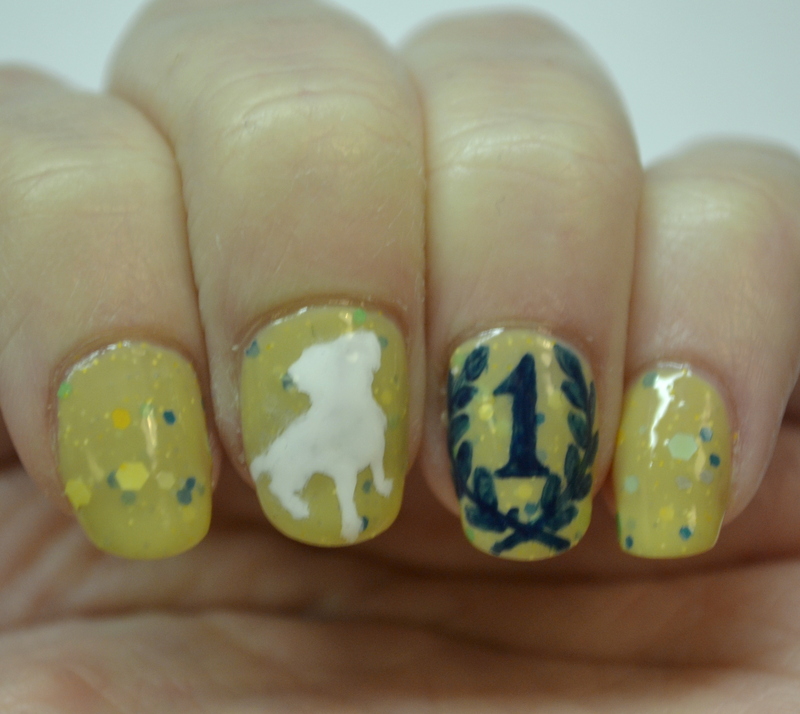 The overall look isn’t as exciting as I would have liked for a fantastiversary mani, but that little dog makes it good enough for me! ← CYNA 12 Days of Christmas, Day 1-Snowflakes!